IAN McEWAN is the bestselling author of seventeen books, including the novels Nutshell; The Children Act; Sweet Tooth; Solar, winner of the Bollinger Everyman Wodehouse Prize; On Chesil Beach; Saturday; Atonement, winner of the National Book Critics Circle Award and the W. H. Smith Literary Award; The Comfort of Strangers and Black Dogs, both short-listed for the Booker Prize; Amsterdam, winner of the Booker Prize; and The Child in Time, winner of the Whitbread Award; as well as the story collections First Love, Last Rites, winner of the Somerset Maugham Award, and In Between the Sheets. "Thought provoking . . . consistently surprising . . . an intriguing novel about humans, machines, and what constitutes a self." 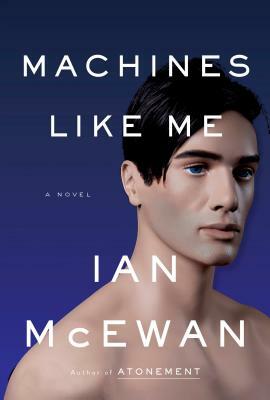 "McEwan brings humor and considerable ethical rumination to a cautionary tale about artificial intelligence."